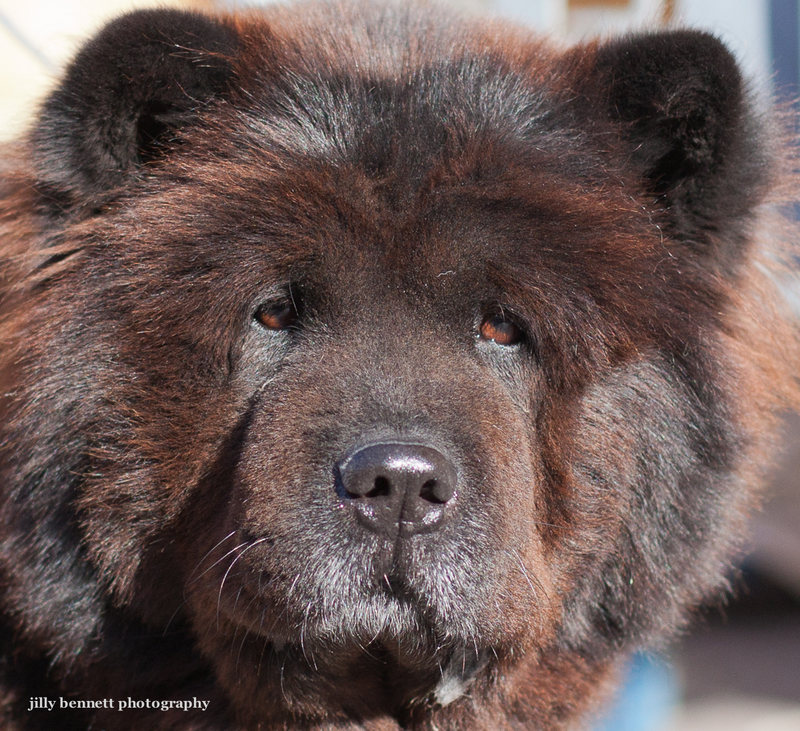 This is San, a soulful looking Chow. 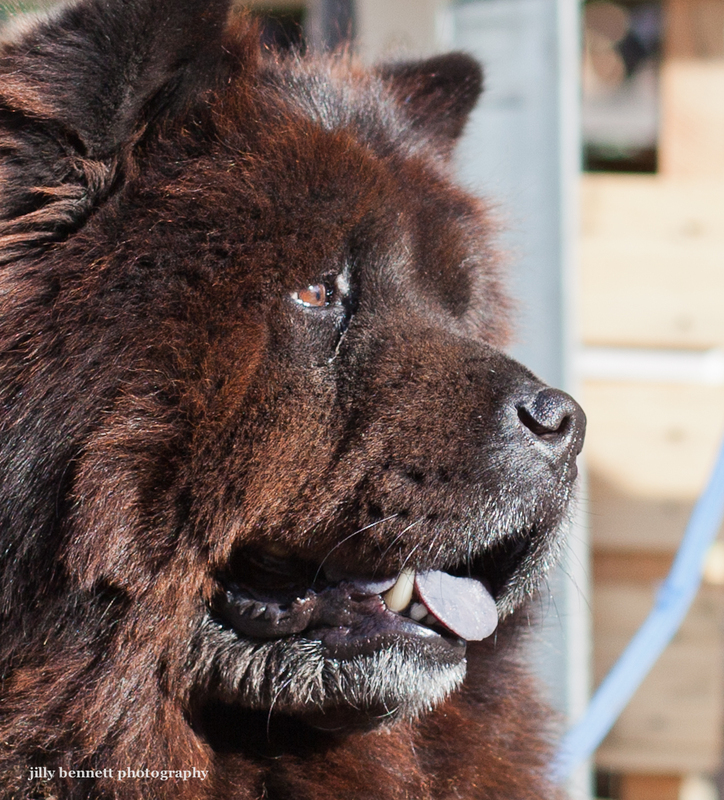 She's 8 years old and posed by the fish stall in Carnoles, where her owner was working. 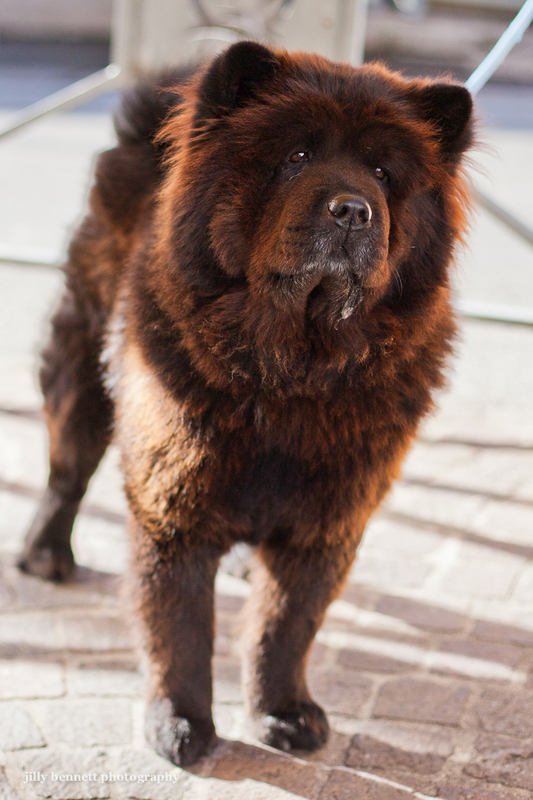 Note her blue/black tongue which is typical of this ancient Chinese breed. The Chow is easily recognizable in pottery and sculptures of the Chinese Han Dynasty (206 B.C. to 22 A.D.). He is a beauty but .... 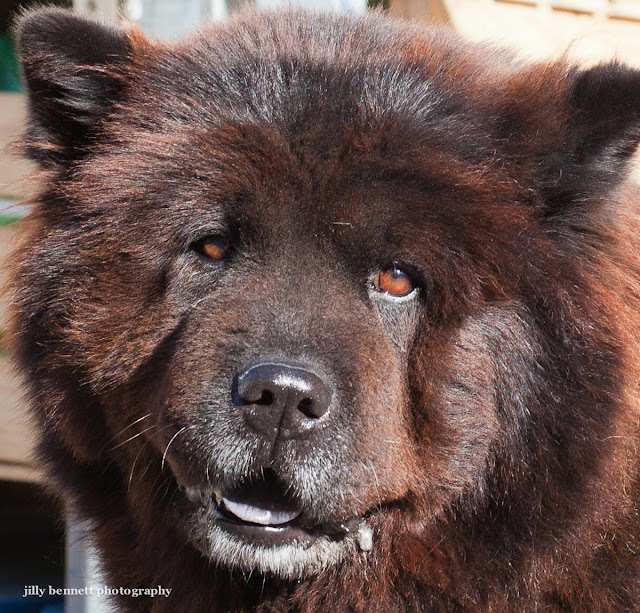 I am always careful around a chow as they are fighting dogs and a "one person" dog too. She looks like a bear. My husband's family owned a Chow-Cbow while Jim was growing up, and the stores we could tell you! !